We are about to set off again! Canadian Battlefields Foundation > CBF Tour Blog EN > We are about to set off again! 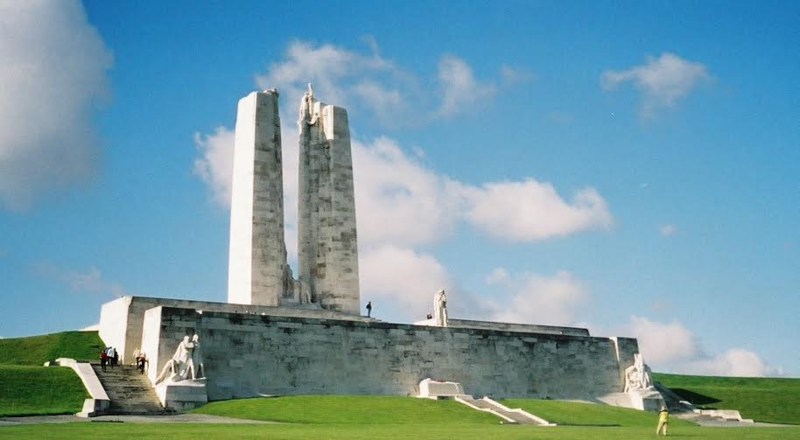 Once again the Canadian Battlefields Foundation Student Study Tour will be travelling to Europe in May and June 2017. Twelve deserving students from across Canada were selected for this amazing opportunity to study the battlefields important to Canada in the First and Second World Wars. Led by Dr. Geoff Hayes, from the University of Waterloo, David Patterson, and Dr, John Rickard (an alumnus of the very first CBF Tour in 1995), the group will visit sites in Belgium and France. Along the way they will see the Vimy Memorial in the centenary year of the battle and visit the newly unveiled monument at Hill 70. The students will be blogging to this site starting on 26 May and will blog each day until 11 June. Keep an eye out for the posts as the impressions these sit es make on our young scholars is both moving and inspiring.